Vertek CPT came to New Breed in need of a modern CMS (Hubspot COS was selected) and a rebuilt navigational plan focused on growing traffic via blogging and converting that traffic into leads. Vertek CPT already had strong online visibility, but they lacked a sales-ready website, and the ability to convert their traffic into leads. Our process included an introduction to inbound marketing, the proven results this methodology delivers and how a sales-ready, persona-driven website could help them achieve their business goals. As a small operation housed within a diverse engineering company, Vertek CPT knew it would need to maximize the value out of any investment made. 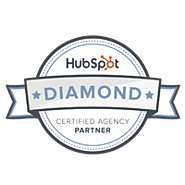 The Hubspot COS was chosen since it offers the combined value of marketing metrics with the publishing ease of a modern CMS allowing for (in this case) a single user to manage publishing, strategy and sales integration. 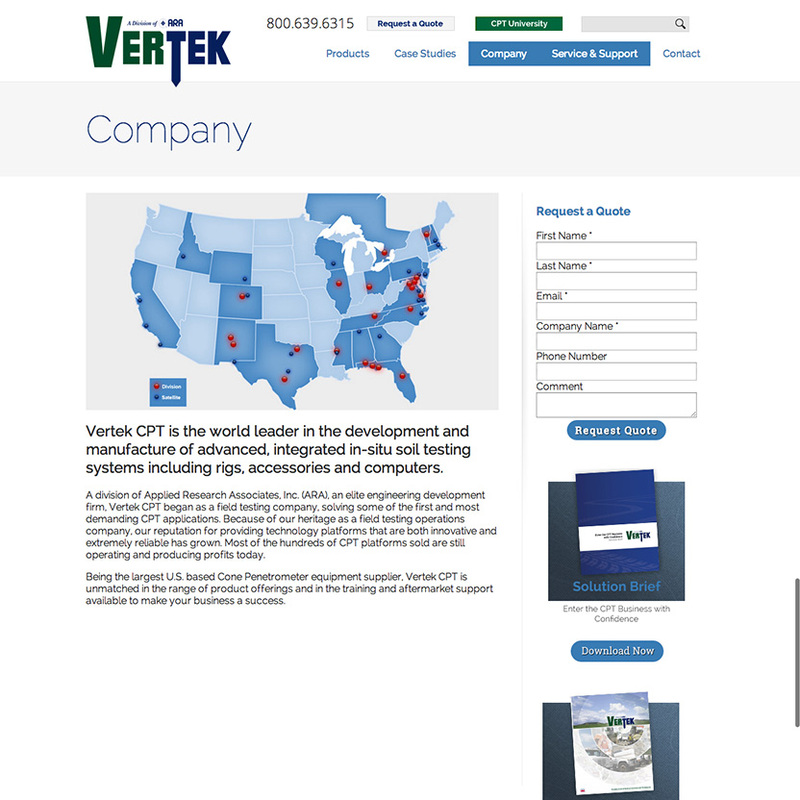 Vertek CPT now has a fully-optimized website with clearly-defined conversion paths for each of their core personas. Lead generation results have more than tripled since launch of the new site and Hubspot’s intelligent metrics are helping to guide Vertek CPT’s marketing strategy and spends for the greatest ROI. Post launch New Breed has provided ongoing web support and persona driven blog content to ensure the site remains on its growing trajectory. 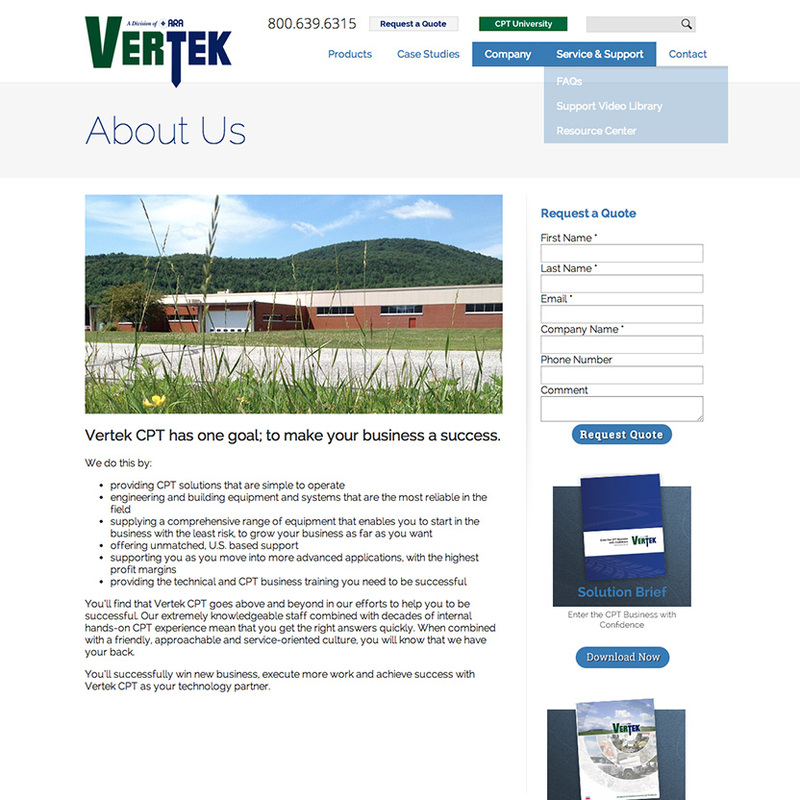 The redesign, in conjunction with their inbound marketing campaigns has allowed Vertek CPT to take their business to the next level. 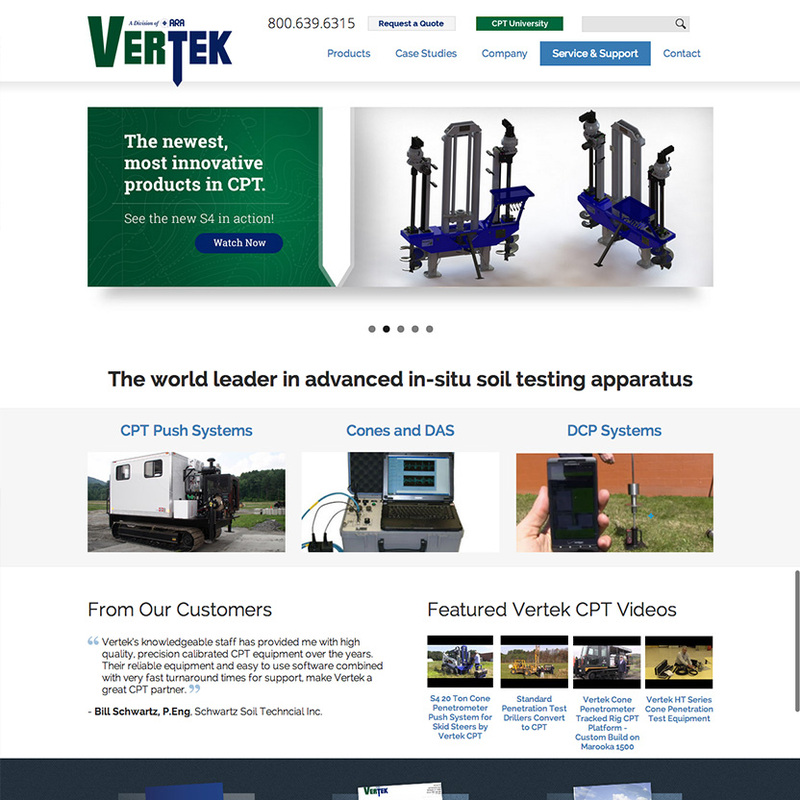 Vertek CPT is a world leader in developing and manufacturing the most innovation in-situ soil testing apparatuses. 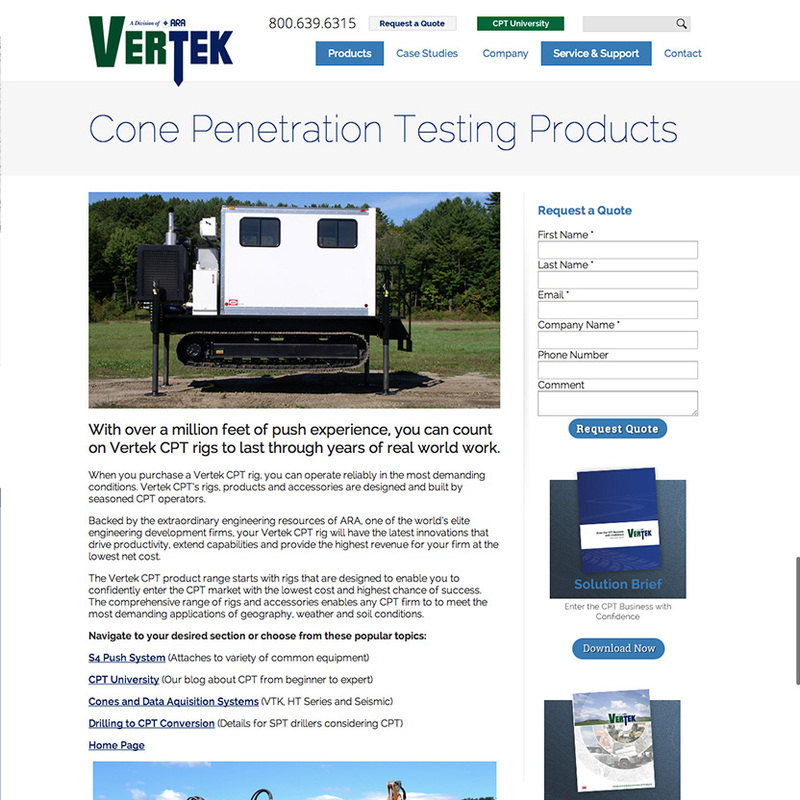 With decades of internal hands on experience in CPT (Cone Penetration Testing) they offer simple, easy to operate solutions that focus on helping businesses succeed. Not only do they build and customize new CPT technologies, but they offer technical and CPT business training.